Have to go abroad for a week, don't go away. 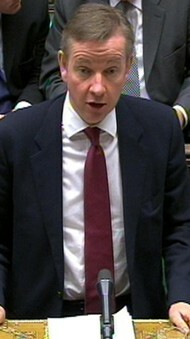 There was an odd section in Michael Gove’s speech yesterday in which he sought to play down the term “abuse of power”. “He will be familiar with the fact that ‘abuse of power’ is a judicial term that has been in use since 1603 and, in particular, has been applied in judicial review cases since 1985. “It has been applied to Cabinet Ministers on both sides of the House. Gove’s intention was to negate the significance of the term by suggesting in the first sentence that it has been used for years, in the second, that it is something lots of politicians have been accused of, and in the third, that the courts shouldn’t even have the power to say such things. Let’s take those sentences one by one. It’s rather banal to point out when “abuse of power” first came into use. After all, the terms theft, adultery and murder have all been around for longer, but have no less meaning for it. I’m not comparing Gove’s abuse to murder of course – simply saying that offences do not ‘go off’ like milk or cheese, they do not become less important over time. The second sentence is a political defence. 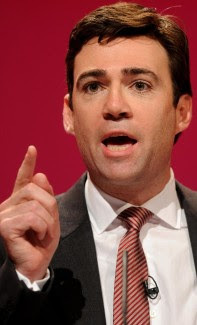 He’s saying to Burnham – “Labour politicians abused power when in Government too”. Maybe they did, but the public will think “it’s you who’s doing the abusing right now”. In the third sentence, it is as though Gove knows that directly questioning the judge’s power to review ministerial decisions is pushing it. So his words are carefully chosen and rendered a little inane. That it is “open for debate” as to whether judicial review can be used in the way it has is neither here nor there. After all, everything is “open for debate”. The fact is that judicial review has been used in the way it has. Gove’s decision has been overturned. The judge says an abuse of power has been committed. So what does that term "abuse of power" really mean? Improper use of authority by someone who has that authority because he or she holds a public office. That is the single fact that Burnham and Labour should have pushed home last night, they should not have strayed from that point. As it was at times they played into Gove’s hands by getting into a debate about whether BSF was a good programme or not. That meant the Education Secretary got off lightly in what could have been a highly damaging encounter. If you were to ask a coalition party press officer what the Big Society is, they would probably tell you it is "communities doing it for themselves" i.e. charities, volunteers and social enterprises working to solve society's ills, instead of direct state action. But if you were to ask me, I would tell you the Big Society is a huge lead, deadweight of a phrase that Cameron will one day regret ever coining.